Musicians hold a special place in history because they are often revealing about life and thought in a fairly audible way. England’s rulers were consistently kind to their musicians. Taverner, Tallis, and Byrd all had their run-ins with the law, but none were found guilty. Back when not being the right religion led to severe penalties and even death, Taverner was tried for Lutheran leanings, Byrd was accused of not attending his local church enough (that was a crime back then) and Tallis was openly Catholic. And it’s a good thing the monarchs spared them – we have an extraordinary wealth of music as a result. England was well ahead of its musical time from 1350 to 1470. Music by composers whose names we don’t recognize now wrote stunningly beautiful melodies that made continental musicians take note. Visitors remarked on the “sweet sound” they heard, of overwhelming textures and music on a massive scale that they had never heard before. Although music for more than 7 voices was very rare in England (there were really only a handful of compositions for more before 1500), their music was considered the most impressive. What is so strange about 1470 to 1540 is that English music seemingly made so little headway, and that we know so little about it. There are just a few treatises that survive, and not enough for us to speak in a definitive manner on why they seemingly slowed. There was hardly a bold new direction to be found during that time; instead there was a steady refinement of existing style. Amongst the treasures that remain from that time (Henry the 8th had agents who burned the bulk of the scores and treatises), we view a vibrant style meant to overwhelm. The English had a wide view of the cadential model, used intensive rhetorical symbolism, and proportions of surprising scope. The consistency of English composers embracing these elements makes one suspect they were living up to some sort of challenge. There are tantalizing hints about the nature of that challenge, but nothing we can say with certainty. We can only speculate. From that era, John Taverner’s Missa Gloria Tibi Trinitas stands out as one of the most popular choral works in history. It was published quite often in its day and a fairly recent Canadian survey pointed to it as one of the 10 most popular choral works among Canadians. That’s quite a feat for music written nearly 500 years ago, and speaks to our uncommonly good taste in music. 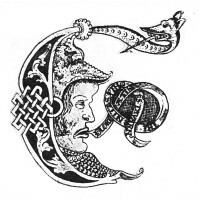 Symbolism was a central part of the composing challenge for Taverner’s generation. It was common for numbers to be applied as symbols and to musical proportions. The perfect time signature was, for instance, triple time. In Taverner’s mass the number 3 is everywhere – from the number of voices in each section to the proportions of the time signatures, the cantus firmus, and the symbolic gestures within the music. Exactly why these proportions were used so pointedly is the question we have no satisfying answer to and therein lies part of the mystery. The other is this: how can a piece that we know so little about practically be so satisfying to listen to? In 1534 Henry the 8th changed everything with The Act of Supremacy. The Act dissolved the Catholic infrastructure in England. That infrastructure had developed a great many of England’s composers and singers. Some, like Taverner, left music behind entirely. Despite this, the influence of John Taverner can’t be overstated. 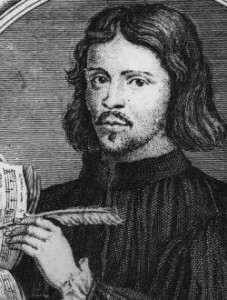 Both Byrd and Tallis used his compositions as models. And a new genre of composition – the In Nomine – was born of this mass. This four-part section was viewed as so perfect by other composers that they began writing their own In Nomine, a practice that lasted so long that even Purcell tried a time or two more than a century later. The Act was actually killing two birds with one stone – Henry rid himself of Catholic rules, and he increased the annual crown budget of roughly 15% from resulting rents and sundry on the lands he confiscated. He employed some worthy additional musicians at court as a result, like Thomas Tallis. The Chapel Royal the best post available to Tallis and gave him access to many of England’s best singers. We could even speculate he knew he was getting the post – when his monastery was dissolved he purchased a treatise by Leonel Power (a manuscript a century old at the time) which would have cost a small fortune. It is not believable to think he would make such a purchase if he didn’t feel good about his chances. This purchase is also an important signal. Tallis intended to look back to find his new path, rather than forward. And he did just that with his compositions for Mary Tudor like Gaude Gloriosa Dei Mater. Despite Henry’s Act, England was still essentially Catholic in 1534, and 20 years changed little amongst an affluent and determined Catholic community. In the Mary Tudor years, Catholic themes were renewed, especially the Votive anthem, which has a song in praise of Mary the Virgin Mother. The freedom to write in an old style for Gaude Gloriosa Dei Mater must have come as a real opportunity to Tallis – who did some of his best and most inventive composing, leaving behind the simpler style he employed for Henry. The intention to praise Mary Tudor simultaneously can hardly be more obvious. Many Catholics thought her their saviour from persecution. The music takes on a joyfully beguiling tone, at some points nearly flirtatious. Tallis, by removing the cantus firmus, created a heavier, denser texture he uses to highlight crowns, ascending to the throne, the Tudor Rose, angels, the rod of justice, and other symbols associated to both Mary’s. There are also a few moments when he references Taverner. We know far more about William Byrd than the other two combined. Byrd was a recognized genius very early – but he was much more than a musician. He was also a businessman who read law voraciously. He died a very wealthy man, having paid careful attention to many aspects of his business and acting as his own lawyer in many disputes with neighbours and ne’er-do-well family members. Byrd had skill and ambitions. Byrd studied with Ferrebosco, an Italian composer and spy, and inspected the works of Lassus, Cipriano da Rore, and Clemens non Papa. He knew the current continental trends. When he published his first volume of music with Tallis in 1575, you can hear him sorting out those new problems within the English framework. If that volume had been more popular on the continent, it may be that he would have left England like many of his compatriot composers, but it sold only a few copies and Byrd stayed put. The Mass for Five Voices was published using little identification on it, and nothing to point to William Byrd except the music itself. Printing a Latin mass 60 years after the Act, even for England’s greatest living composer, was still a risk. It was printed for private use in Catholic homes, in three volumes for three different arrangements of voices. Each was small and easily concealable. The mass for five voices was the last of the set to be written, after he had sorted out certain technical issues that he wasn’t certain about when composing his four- and three-voice masses. You will hear Taverner’s influence in the In Nomine section, and while the sections might be much shorter, they still adhere to the conventions of the time preceding Taverner. 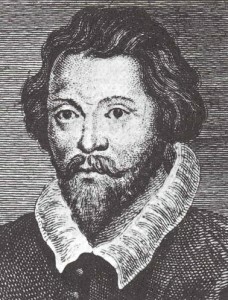 When we consider William Byrd, there is a parallel with Bach – he let others update their compositional styles while he did not. How he wrote his music in the 1590s was very similar to how he wrote in 1610 – he had found his solutions and he was going to use them regardless of the style of the day. John Wiens is guest conductor for Camerata Nova’s British Mysteries concert. 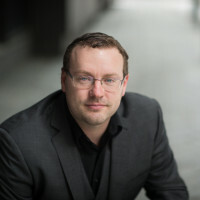 He is also Director of Music at St. Matthias Anglican Church, in Montréal, and an early music specialist. Congratulations to our president, Sandi Mielitz, who has been awarded the Investors Group Arts & Culture Award for Volunteer Excellence for her work with Camerata Nova! Please consider joining us for the 33rd Annual Volunteer Awards, which will be held on April 28th at the RBC Convention Centre Winnipeg, to honour Sandi and other deserving Manitobans who represent excellence in volunteerism and community engagement in our province. Click here for more info. In 2015-2016, Camerata Nova is offering its very first outreach program in partnership with the expansive Frontier School Division. Aiming to empower kids to express themselves using sounds and soundscapes, artistic director Andrew Balfour and singer/didgeridoo player Michael Thompson visited Bissett, Wanipigow, Black River and Matheson Island in the eastern part of Division 2, from November 30 to December 4, 2015. During phase 2, which happened from March 21 to 24, 2016, they will continue their musical adventure on the western side, in Grand Rapids, Camperville, Duck Bay and Pine Creek.